Applying procedural modeling technology opens up a complete new universe to virtual building reconstruction. Combining virtues of the City Engine and GTA's patented facade description algorithms, a solution has been established to enable generation of thousands of km2 of real world 3D City Models at an incredible level of detail and with unbeatable price-performance ratio. 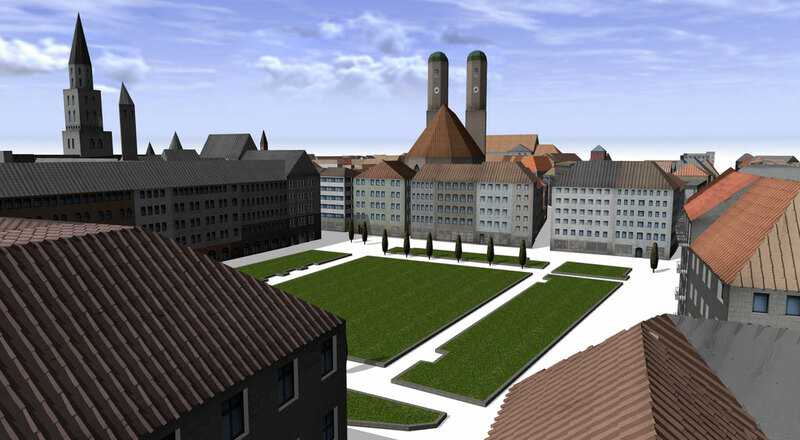 GTA Geoinformatik GmbH (GTA ) looked for a solution to visualize their large database of real-world building data with more 3D detail. Special focus was set to extend the depth on facade elements as well as the roof details. In a collaborative project with GTA, a showcase has been set up to test a possible data pipeline. 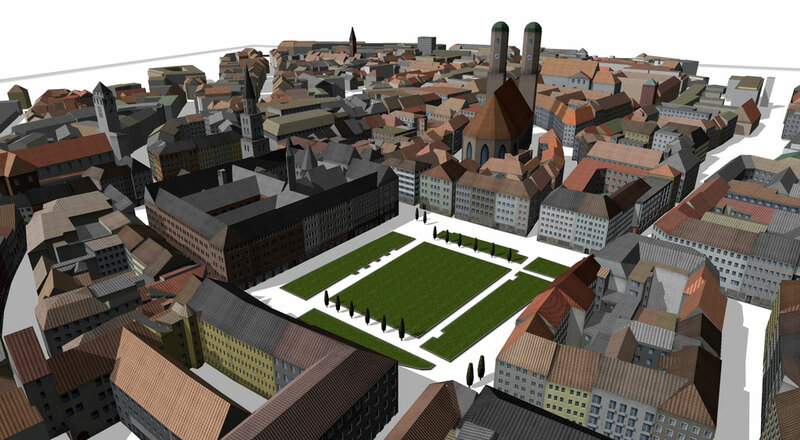 The resulting city scene consists of 3209 buildings in the center of Munich, Germany. Using GTA's detailed real-world GIS data, buildings are generated in different levels of detail which can be adjusted interactively depending on the requirements. 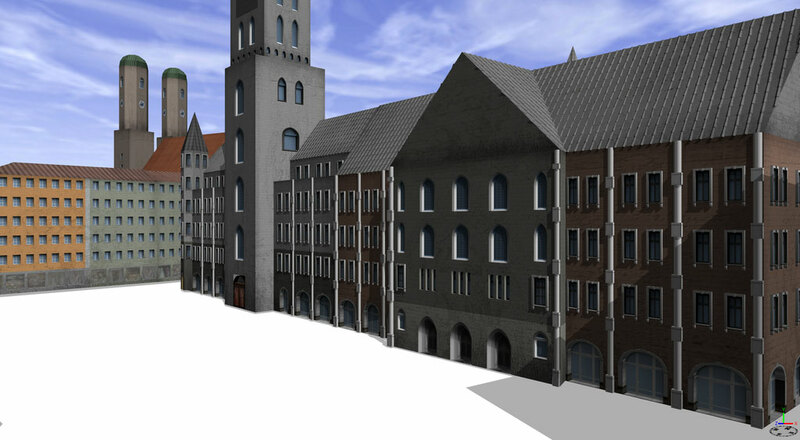 Buildings with high level of detail feature 3D facade assets as well as roof bricks. 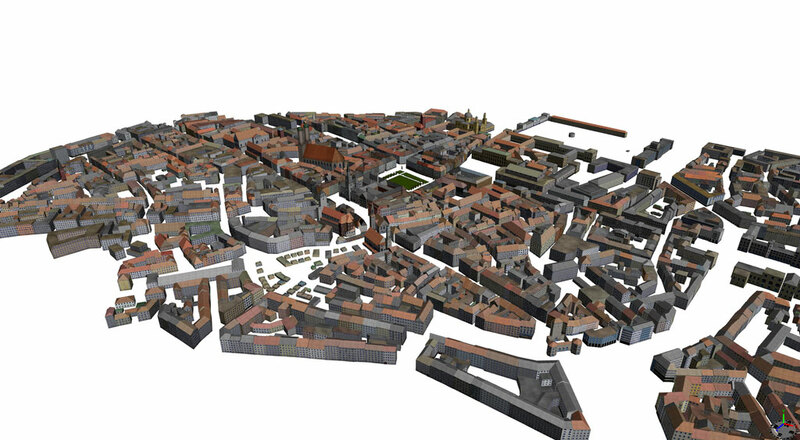 GTA provided real-world building data that consisted of footprints and 3D roof shapes in Esri shapefile format. These files were imported into CityEngine, forming the base shapes for the procedural creation. To describe facades, GTA uses its own format containing very detailed information about facade layout, floor structure, tile patterns, window and door tiles as well as facade colors. These data have been transferred into CityEngine building attributes using the builtin-in Python® scripting interface. Additionally, GTA's asset texture library has been extended with 3D assets. 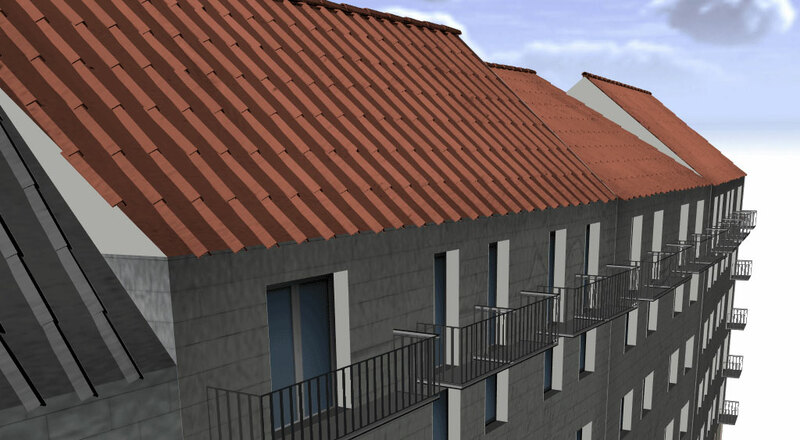 A generic building template file evaluates the transferred facade data, and generates the 3D models in 3 Levels of Detail: From low-poly textured building boxes to detailed building models with 3D facade assets (windows and doors) as well as detailed roof bricks. 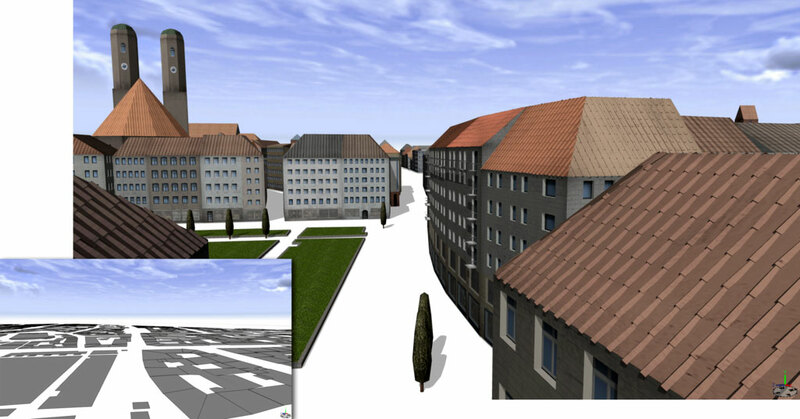 The city scene can be shown within CityEngine with an easy way to adjust the level of detail. Additionally, the model was exported into an OBJ format with additional geo-referencing data to be used in GTA's tridiconTM CityDiscoverer, a high performance 3D GIS solution.